A local wedding fair but better! The first Engage Wedding Planning Party at Coltsfoot Country Retreat was a brilliant success. What if a wedding fair was a bit more like going to a wedding party? You get to experience how great all the suppliers are with your partner or friends in a much more relaxed way. 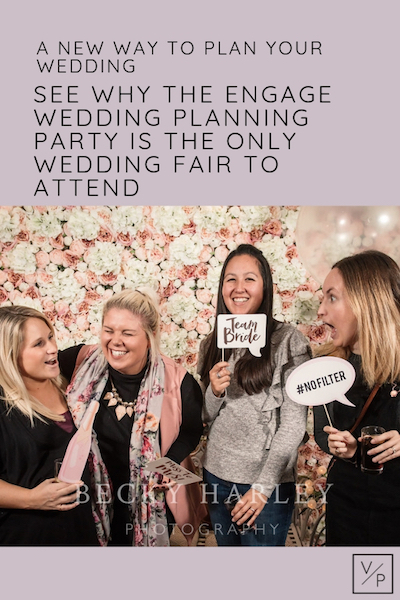 That’s exactly what Becca from Engage Weddings thought, and that’s exactly the kind of event the Wedding Planning Party is! 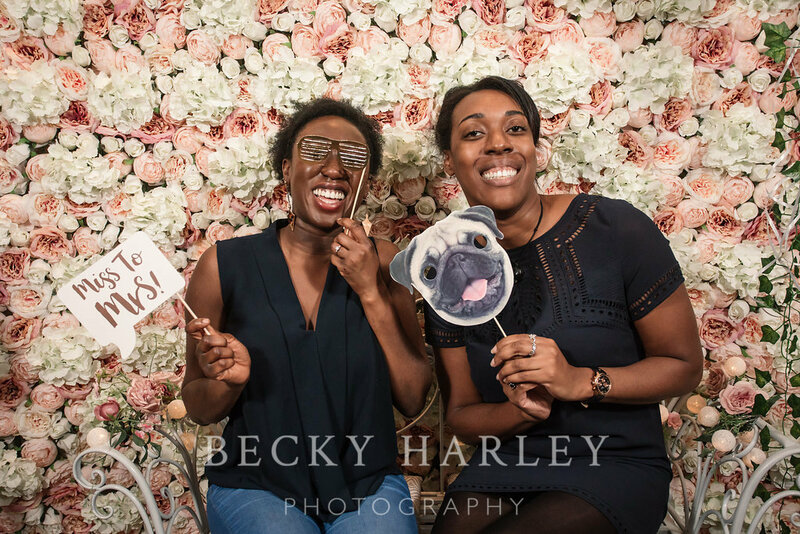 I started the wedding planning party to make the planning experience more fun for the brides – no one wants to be sold too – so this way they take back control and can experience and then choose which aspects of the wedding are right for them. You can see from the video that everyone had such a great time at the event. I think many people find traditional wedding fairs awkward. The norm at wedding fairs is to stand behind a desk and present your work. 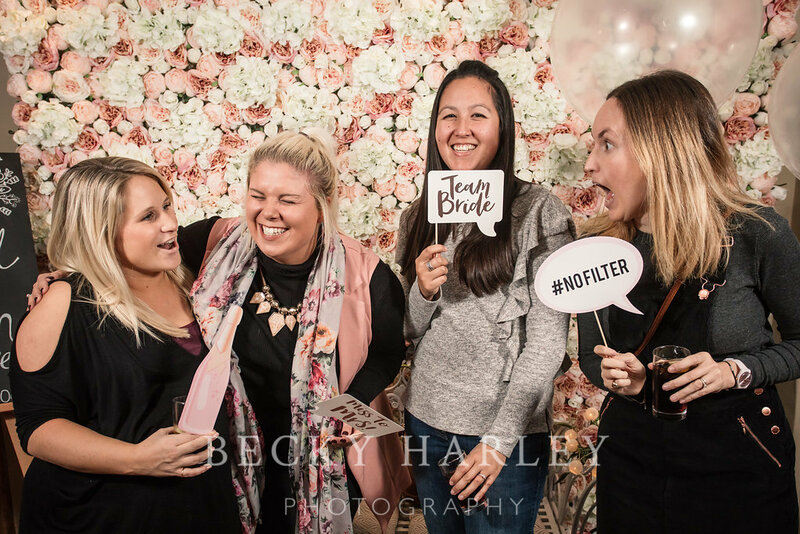 What we loved most about the wedding planning party is that there’s no pressure. Couples come along and have fun with their friends. It was great filming everyone trying out what each supplier had to offer. Party-goers could taste the delicious cheese from The Cheese Plate as well as try cake samples from La Belle Cake Company. 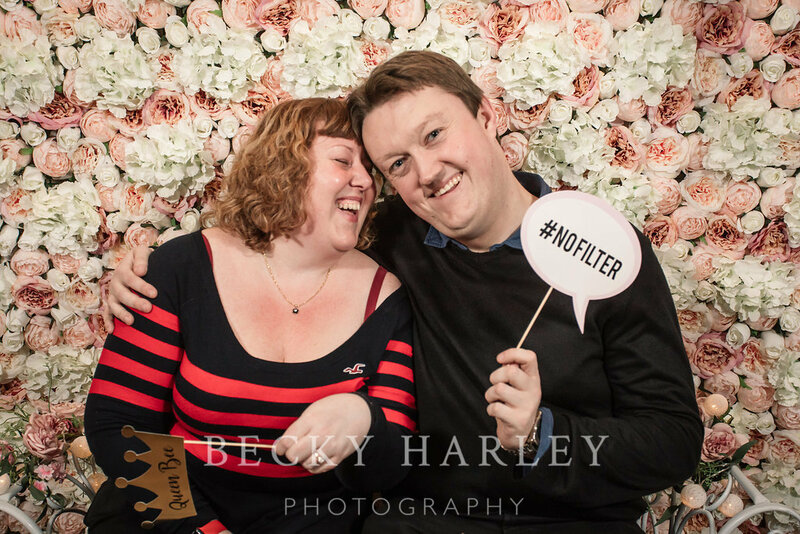 The Engage Wedding Planning Party really gave us the opportunity to get chatting with people in a more relaxed way. We loved hearing everyone’s ideas for their weddings. Couples could also see us filming in action and understand how unobtrusive we are. There was no pressure, just lots of fun. It was perfect for couples to try out lots of other suppliers. Those they normally wouldn’t get to experience at a traditional wedding fair. Try out hair and makeup, listen to DJs and acoustic musicians and have a go in the photobooth. The video you see above is a fun highlights video we filmed across the night to give a flavour of the evening. What a brilliant night with lots of wonderful, talented wedding suppliers and super fun engaged couples! A highlight of the evening was a Q&A session with Becca from Engage Weddings, Mark from BlueMark Entertainment, Becky Harley Photography and Kerry from Foxgloves and Alice (previously Cottage Garden Weddings). It was fascinating to get perspective from people who had been in the industry a long time as well as a those who are relatively new to the business. We filmed all the questions for those who couldn’t make the evening. “Why as soon as I mention weddings does the price skyrocket?” was the first question and Becky gave her insights. See you at the next Engage Wedding Planning Party at The Barns Hotel in Bedford! Getting married in Hertfordshire and looking for a videographer? Contact me below, I’d love to capture your special day. Next Post Looking to get married outside? Chippenham Park Gardens is stunning for an outdoor ceremony.